I tend to be a HUGE klutz when it comes to making an entrance. I can pretty much guarantee that at least 2 out of 3 times I will completely humiliate myself by falling out of my car, walking into a wall, tripping over my own feet, or just saying something really really dumb. But I'm not here to humiliate myself any further by telling you about just how awkward I really am. 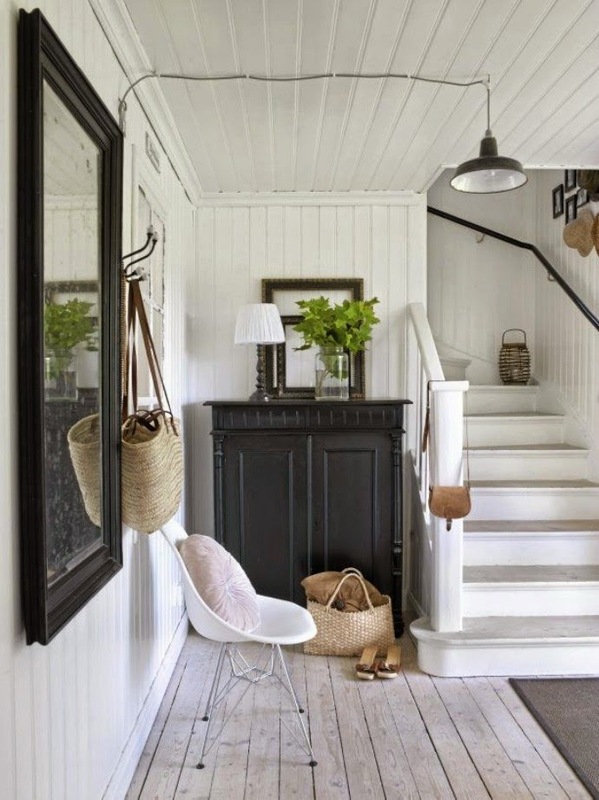 Nope, the type of entrances I am talking about today are the ones in our homes. 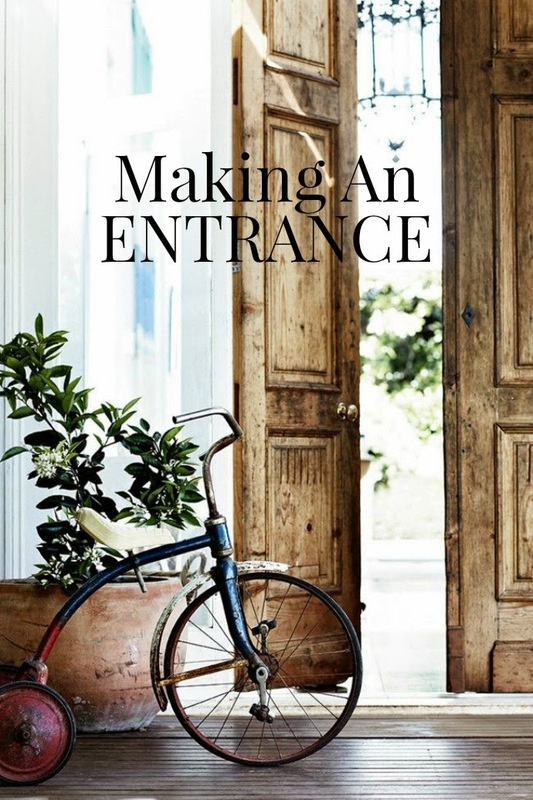 When I am walking along the street, pretty much any street, and I see someone coming out of their front door, I am the weirdo straining her neck to get a little peak at their entry and front hallway. OK not really... and by not really I mean that I have absolutely no telepathic powers to read a house's energy, but the bit about having a creaky neck from being such a sticky beak is unfortunately true. So, you've probably picked up from my random ramblings lately that I am in the process of doing up our home. I am indeed attempting to renovate on a very VERY tight budget. The first two rooms I have unleashed myself upon are the master bedroom and the entry and front hall way area and I am pleased to report that I am kind of *cough cough* making progress. Ohhh OK, so the progress bit is a lie too! Truth be told, I have barely made much progress at all apart from buying the paint and collecting the artworks and bits and bobbys that I plan to put on the walls. 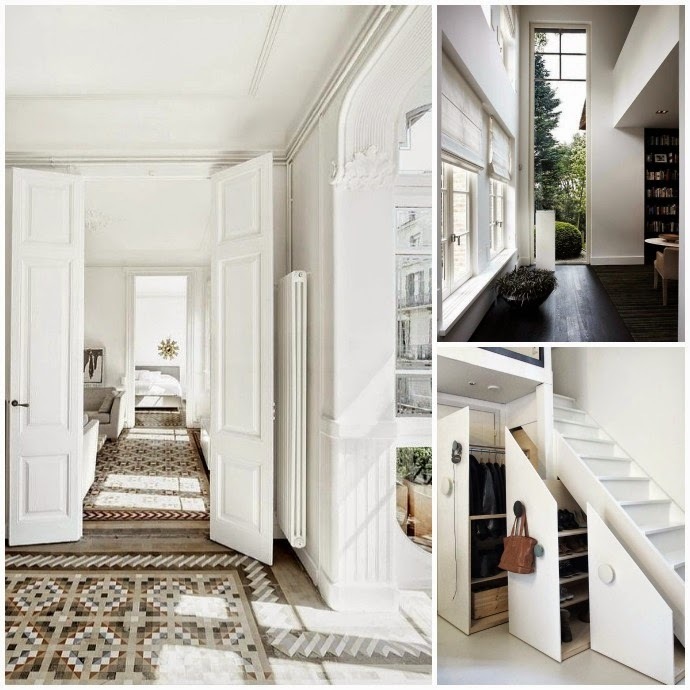 I've have however managed to pin a shitload of images of hallways and entries onto my Pinterest board.. so I am just gonna go ahead and call it progress anyways... purely for motivational purposes. 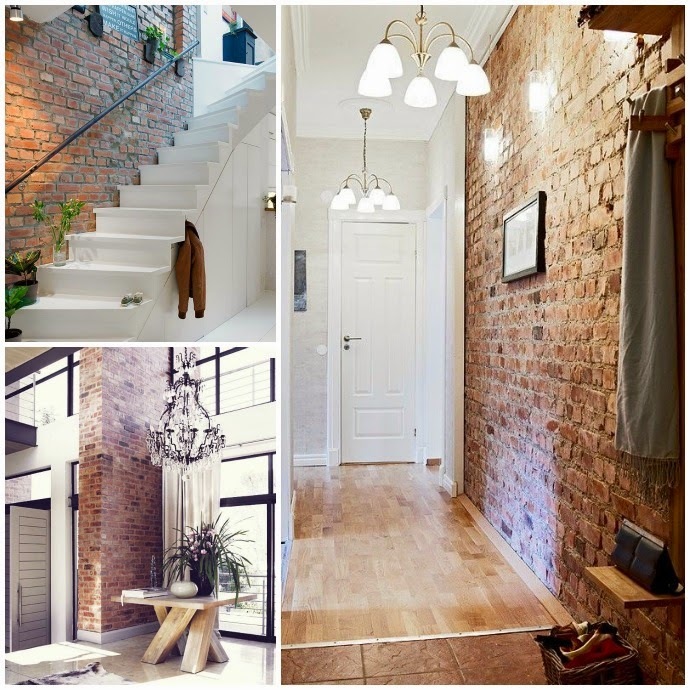 I thought I'd give you a peak at some of the fabulous entries and hallways I found on Pinterest that I have been using as inspiration for our own home... minus the exposed brick work, expensive chandeliers and vintage floor boards, because not only am I not telepathic, I am also not an alchemist and sadly I cannot perform those kind of miracles on a next to nothing budget. I'll share some progress of our joint with you soon, hopefully after I actually manage to get a little more done. 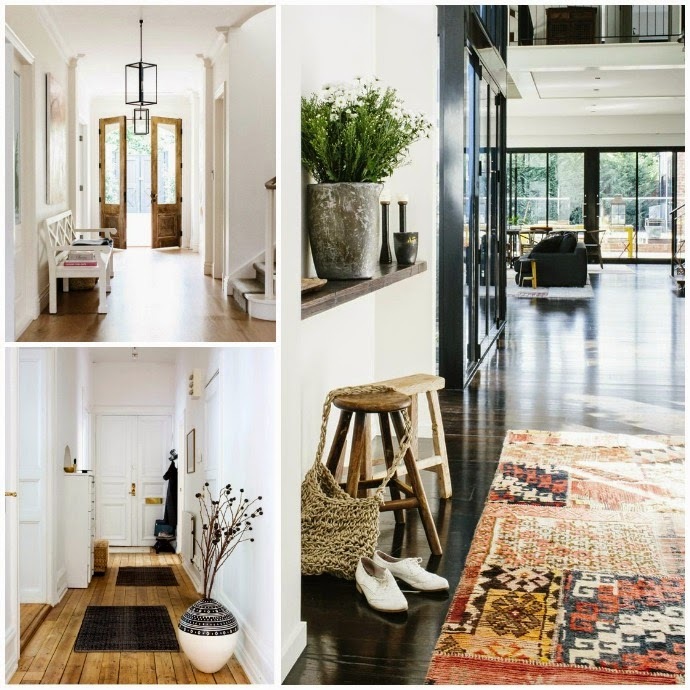 But in the meantime... let's swoon together at these gorgeous homes. 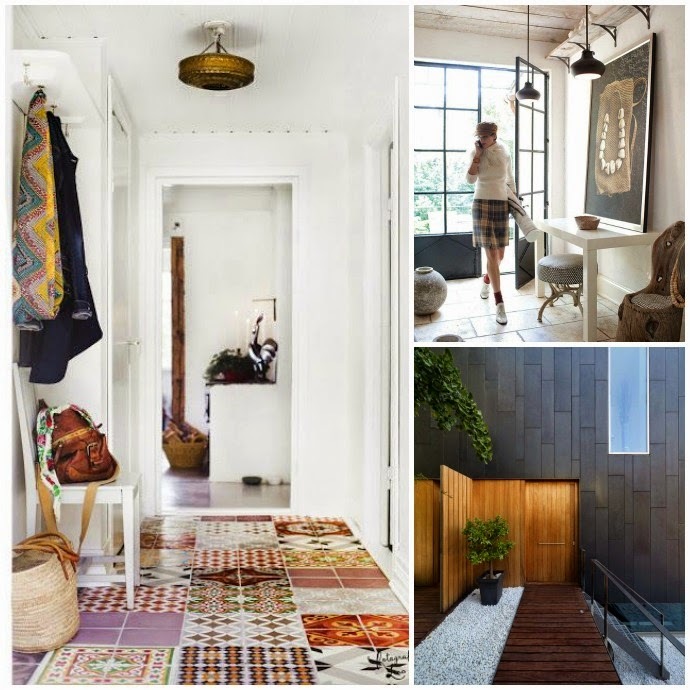 Any of these particular styles taking your fancy at the moment? Are you a sticky beak too when it comes to getting a nosey through other people's front doors?